Fall is one of my favorite times of the year! The reason? Pumpkin! I love any and all things Pumpkin and this Pumpkin Dump Cake is no exception! This is a super easy dessert for a get together, potluck, or just because! This is a very rich dessert and not low calorie AT all – so you have been warned. But it is THAT good! 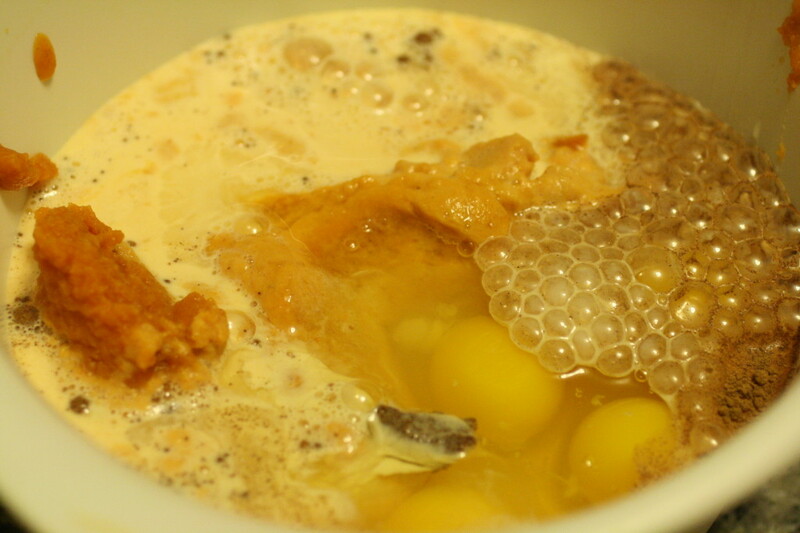 The first thing we do is mix almost all the ingredients in a bowl: pumpkin, evaporated milk, spice, eggs, and the sugar. I used a whisk to make sure all the ingredients were mixed well. 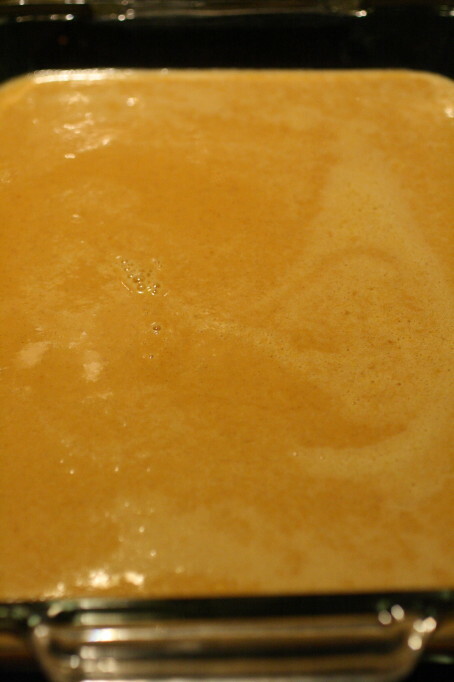 Pour the pumpkin mixture in to a 9 x 13 baking dish. Sprinkle a box of cake mix over the top of the mixture. I used one box of white cake mix that I got on sale – making this an inexpensive dessert option as well! Melt your butter in the microwave and drizzle over the dry cake mix. Place in a 350˚ oven for approximately 40-45 minutes. In my oven, it took closer to 55 minutes to get the mixture to bake until firm. Remove from the oven and let sit for 10 minutes prior to serving. *The original recipe calls for adding chopped pecans on top of the cake, however, no one in my family will eat nuts except me so I left those off. 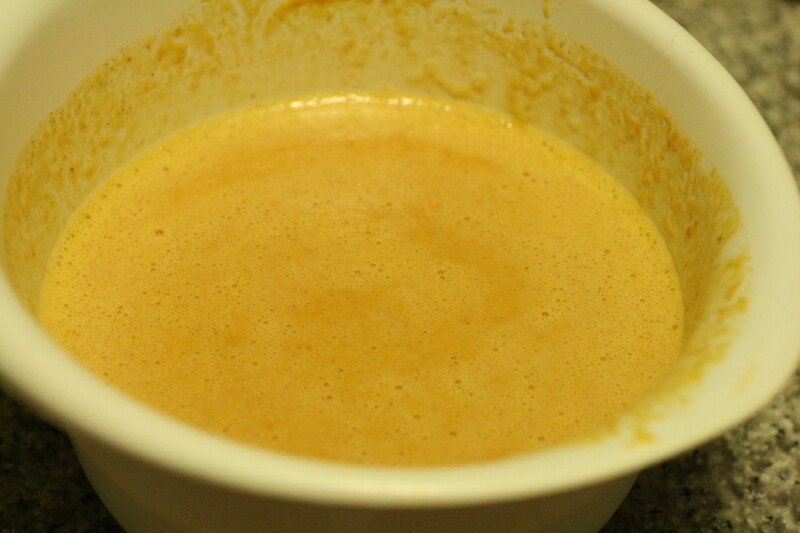 Combine the pumpkin, evaporated milk, eggs, spice, and sugar. Mix well using a whisk. Sprinkle the dry cake mix over top of the pumpkin mixture. 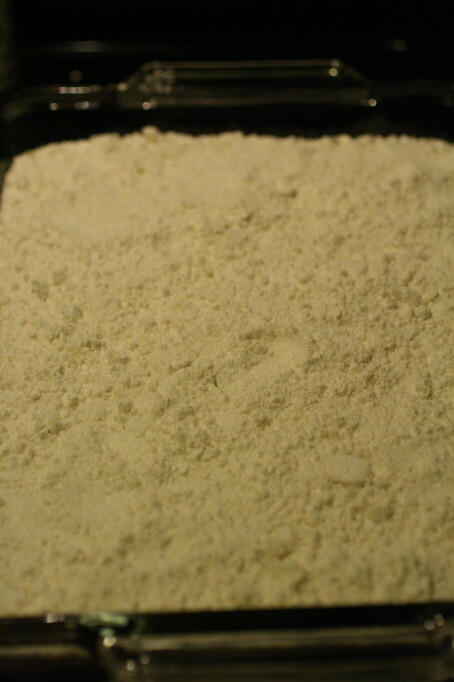 Bake for 40-45 minutes or until the mixture if firm. In my oven it took more like 55 minutes, so keep checking the mixture after 40 minutes. Remove from the oven and let sit for at least 10 minutes prior to serving. We like ours slightly warm, but you can cool completely if you prefer. *Recipe based on Pumpkin Dump Cake from Food.com. This sounds delicious and I love how simple it is to prepare! Stopping by from Tickle My Tastebuds! !